What comes to your mind when you hear or read the word, “Offshore Banking?” Stolen or embezzled funds? Tax evasion? Funds associated with criminal activities, terrorism or money laundering? Unfortunately, those are some of the general misconception about offshore banking. Naturally, everything good has its shortfalls and short-comings. 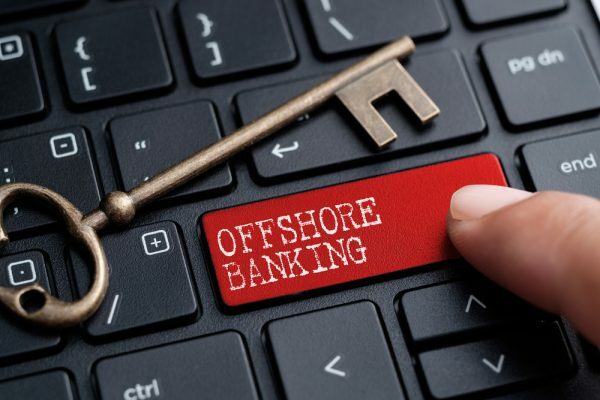 So, in this article, I will dispel myths associated with offshore banking and go further to discuss benefits, yes, benefits associated with offshore banking. Most of us, if not all of us, currently hold and operate (or have held or operated) a bank account in our locality. And that is (or was) a good thing. So, when not the same with offshore banking? The International Monetary Fund (IMF) simply defines Offshore Banking(also known as Private Banking) as “the provision of financial services by banks and other agents to non-residents.” In layman’s words, offshore banking is having a bank account in and enjoying banking services from a banking or financial institution outside the country in which you reside. That it is prefixed with the word “offshore” does not imply that they are located on island. The emphasis is on it being located outside the country of the depositor.Offshore banks are legal entities and are usually owned and operated by larger business or financial institutions or a consortium of suchlocated in other countries. Although they are subject to the laws of the host country, regulations guiding them are usually less strict than those imposed on local banks in the same country. They can be found in many countries in the world such as Luxembourg, Isle of Man, Macau, Panama, Cayman Islands, Austria, Cyprus, Caribbean Islands, Bermuda, Switzerland, The Channel Islands and many more. Countries in the world are prone to all forms of risks, threats and instability – be it political, religious, ethnic, economic, natural calamities and others. The more a country is vulnerable to such instability, the less safe and secure are funds and investments in that country. Therefore, having an offshore account in a country that is less prone or vulnerable to instability provides a security and peace of mind to the depositor or investor. Customers may have multiple foreign currency accounts in an offshore bank at their choice and selection. For example, funds could be earned in a currency that may be weak and unstable but deposited or transferred to an offshore account in another more stable currency. Furthermore, local banks in most countries are usually subject to strict and highly regulated foreign exchange laws that governs exchange rates, importation and repatriation of funds. Such do not generally apply to offshore banking. Customers receive excellent foreign exchange rates and can transfer their funds and investments at will to any currency or to any country of their choice. What is the point of having your money sitting dormant in an offshore account and just earning trifle interest? As seasoned and experienced bankers, offshore banking institutions recognise the desire and need of willing clients to have their deposited funds also earn them money. So, offshore banks offer their customers a bouquet of investment opportunities (portfolios) in countries all over the world. Local banks are not poised or structured to provide such international investment opportunities to their clients. Because of the nature of their services, offshore banks provide the highest banking services to their clients in terms of types of banking services, tools, modern technology and personalised customer service. Because they service customers from all parts of the world in different time zones, they are usually available 24/7, 365 days of the year. Each customer is usually assigned an account representative and customers have unfettered access to their funds through highly secure and specialised telephone and online banking. This is one of the major reasons why offshore banking is generally frowned upon. Yes, offshore banking provides clients with privacy and anonymity but not total and absolute anonymity. Offshore banks require valid proof of identity and verify the identity of all their clients in a bid to stem fraud and money laundering. However, such identify is highly classified and protected. Some offshore banking institutions provide their customers with a banking number shielding their identity from the general public. However, regardless of the anonymity and privacy offered, some countries require their citizens to declare funds, investments and banking accounts held in foreign countries. Failure by them to do so is criminal and exposes them to prosecution and possible fines, forfeiture of the funds or investment and even imprisonment. Depending on the laws of the host country and the laws of the depositor’s country of residence, offshore banks can be a tax haven where low or zero-tax is applied to funds. Offshore banks usually have a high capital than local banks. Also, they have a large amount of depositors’ funds at their disposal. Consequently, they are better positioned to and they do offer their customers excellent credit and lending facilities are not available locally or even through international banking and lending institutions. Some customers are international movers. Whether by personal choice, business or career, they move from country to country. For these people, transferring funds each time they leave a country to another country can be a hassle and an inconvenience. However, having an offshore bank account provides a stable and centralised location for their funds to which they have easy access from any part of the world. As you can see from the above, you don’t have to be an international traveller or a rich, business mogul to have an offshore banking account. Some offshore banks allow customers to open an account online from their country of residence while for others, accounts can be opened through an appointed agent or representative of the bank in a locality. Some institutions require you to notarize your proof of identity locally and upload or send it to them. Having an offshore banking account is not for the criminally inclined as is mostly misconstrued. If any of the above benefits apply to you, feel free to go ahead and open offshore bank account. Terms and conditions vary from bank to bank and from country to country. Ensure that you are thorough in your investigation before deciding on which bank in which country to open you offshore bank account. Will The Bank Of Google Or Bank Of Amazon Be Born? – Are International IT Companies Uninterested In Banking Services? What’s with Offshore Accounts, Shell Companies and Tax Havens?